Exclusively formulated for tinted or color-treated hair. 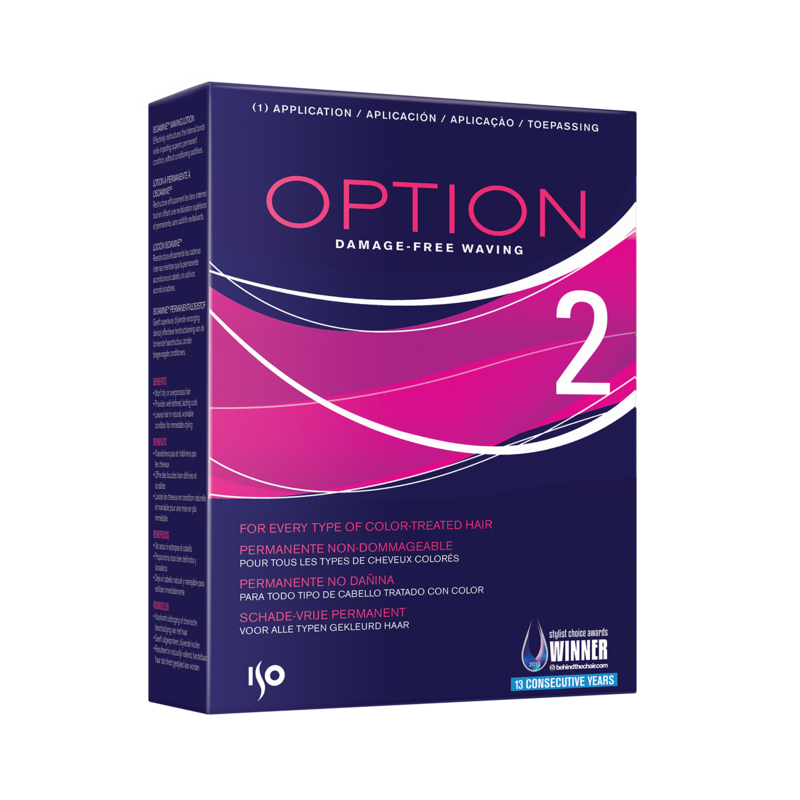 Option 2 brings gentle, yet effective wave action to hair. Thio-free and formulated with naturally derived isoamine to nourish and leave hair cuticle supple and smoothe. Optimum curl results, healthy hair and color.